The parents of murdered Epsom teenager Dominic Bernard were due to fly to Guyana on Thursday to bring his body home. Andrew and Linda Bernard have faced an agonising four month wait for DNA testing to confirm that the remains found in a shallow grave was that of their missing 18-year-old son. With tests having confirmed the worst, the couple are due to travel to South America to formally receive the body and begin the process of repatriating Dominic. Speaking to the Guardian ahead of their journey, Mr Bernard said: “We would like to update the people of Epsom and personally thank them for their support and prayers during this difficult time. “After nearly four months since the discovery of the body we have finally received the results of the DNA testing which confirmed the body is that of our beloved son Dominic. 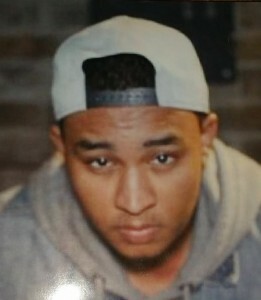 Dominic disappeared shortly after travelling to Timehri in Guyana on October 14 last year to pursue his dream of becoming a filmmaker. He was supposed to return to England on November 5, but after he failed to return home, his family raised the alarm and an investigation was launched. Dominic’s badly decomposed body was discovered in a shallow grave on Friday, January 8 near to the area he was scheduled to stay in. A hammer – thought to be one of the murder weapons – was recovered. His godbrother, Aaron Hing, 22, and 23-year-old Staymon George have been charged with the murder, and a man and two women also appeared before a judge accused of helping bury Dominic’s body and his camera equipment. His father Andrew said the loss of Dominic had taken a terrible toll on his family, despite them seeking comfort in their religious faith. “I came home from work on Friday and Madison, our youngest daughter, was in tears as she said she missed Dom,” he said. “I tried my best to comfort her but at the same time I felt so hopeless and wanted to cry with her. The bible says he will not give you more than you can handle but I’ll be honest and say I’m not sure how much more I can handle. “I need time to grieve for my son but at the same time I feel if I open the door to grieving I may not be able to close it and I don’t know where it will lead me. “My wife grieves daily for her son and as husband and father I struggle to know how to console her. The family hopes to hold a short service for Dominic on Sunday May 1 while they are in Guyana, followed by a celebration of his life when they return to the UK.